"The Youth Olympic Games (YOG) is an international multi-sport eventorganized by the IOC. The games are held every four years in staggered summer and winter events consistent with the current Olympic Games format. The first summer version was held in Singapore from 14 to 26 August 2010 while the first winter version was held in Innsbruck, Austria from 13 to 22 January 2012. The age limitation of the athletes is 14 to 18.The idea of such an event was introduced by Austrian industrial manager Johann Rosenzopf in 1998. The concept of the Youth Olympic Games was envisioned in response to growing global concerns about childhood obesity and the dropping participation of youth in sport activities, especially amongst youth in developed nations.Besides, in order to improve the students' academic performance, schools are dropping sports and physical education from their curriculums. It was further recognized that a youth version of the Olympic Games would help foster participations in the Olympic Games. On 6 July 2007, International Olympic Committee (IOC) members at the 119th IOC session in Guatemala City approved the creation of a youth version of the Olympic Games. The YOG are a successor to the discontinued World Youth Games. The purpose of the World Youth Games was to The main objectives of the first World Youth Games were to involve the young participants in the Olympic movement and promote the Olympic spirit of friendship and mutual understanding among peoples, preparing their psychological and aptitude conditions for international starts and also selecting young talents for the participation in future Olympic Games." It seems that also almost all (if not all) bids had a logo and a flag as well, so here they are (at least to mention the candidate cities, pending on further research for the flags). "Eleven cities expressed interest in hosting the Games, nine of which ultimately applied. Five cities amongst the nine were selected for the shortlist: Athens (official bid website), Bangkok, Moscow, Singapore, and Turin. 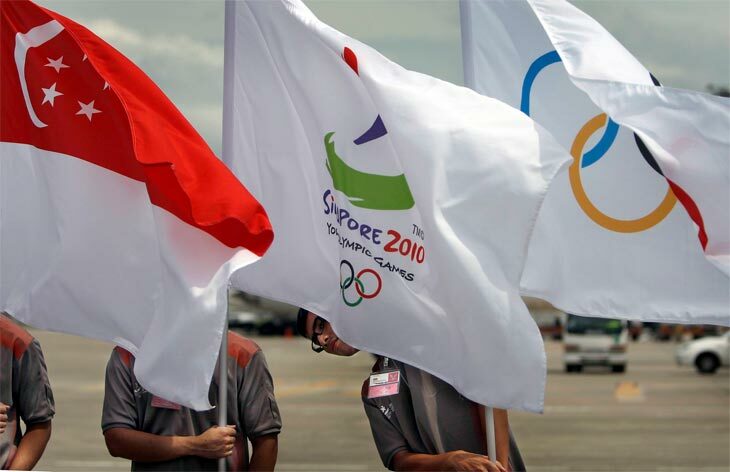 The list was further shortened to two finalists, Singapore and Moscow"
The 2010 Summer Youth Olympics, officially known as the I Summer Youth Olympic Games were awarded to Singapore and decision was announced on 21 February 2008 after mail voting by 105 International Olympic Committee (IOC) members, after beating the other bidders. The 2012 Winter Youth Olympics, officially known as the I Winter Youth Olympic Games were awarded to Innsbruck. 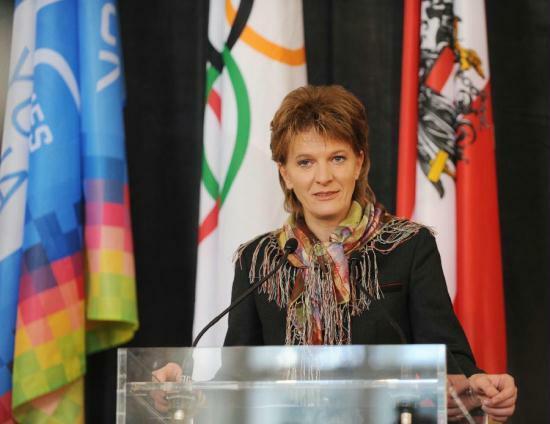 On 2 September 2008 IOC announced that the executive board had shortlisted four cities among the candidates to host the first Winter Youth Olympic Games in 2012. The four candidate cities were Harbin, Innsbruck, Kuopio, and Lillehammer. The list was then shortened to two finalists, Innsbruck and Kuopio, in November 2008. On 12 December 2008, it was announced that Innsbruck beat Kuopio to host the games. I found some images of Winter Youth Olympic Games held in Innsbruck in 2012.